WBO junior middleweight champion Jaime Munguia (32-0, 26 KOs) successfully defended his title on Saturday night, by earning a unanimous decision over Tekashi Inoue (13-1-1, 7 KOs) in Houston, Texas. Inoue, who was making his US debut, was a significant underdog, but was tougher than expected. Munguia, who is known for his knockout power, landed some punishing hooks to the body and hard right hands throughout the fight, but Inoue demonstrated a helluva chin and withstood it all. The shorter and stockier challenger put loads of pressure on Munguia, while connecting with overhand rights, but the champion too, showed off a strong chin. Though the fight was mainly controlled by Munguia, Inoue gave a great account of himself and never took a step backward, while having a few strong moments in the fight. Final scores were a bit too lopsided in Munguia’s favor, but clearly won the fight. The judges had it 120-108, 120-108 and 119-109 for Munguia. 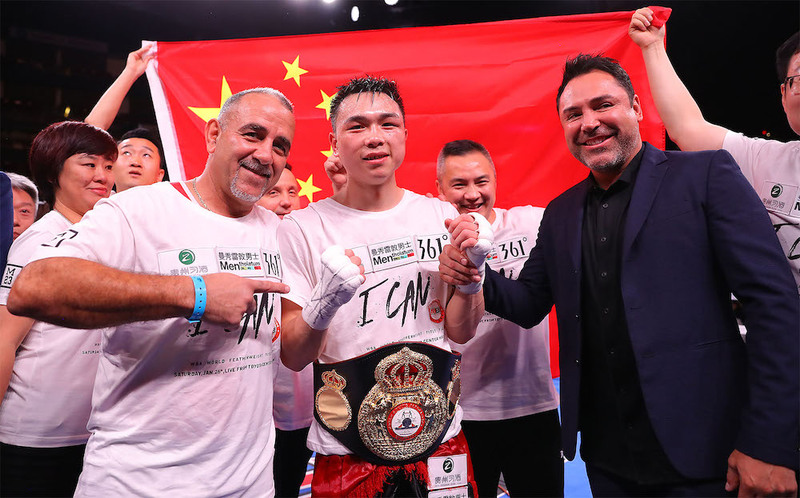 In the co-main event, also televised via DAZN, Xu Can (16-2, 2 KOs) scored an upset win over Jesus Rojas (26-3-2, 19 KOs) to earn the WBA featherweight title via unanimous decision. Scores were 118-110, 117-111, and 116-112. “I don’t feel the decision was correct,” said Rojas. “I don’t know what to say. I’m surprised. I spoke to Golden Boy Promotions, and I want the rematch. I think we worked well. I used my jab and I want the fight. Of course, I want the rematch. 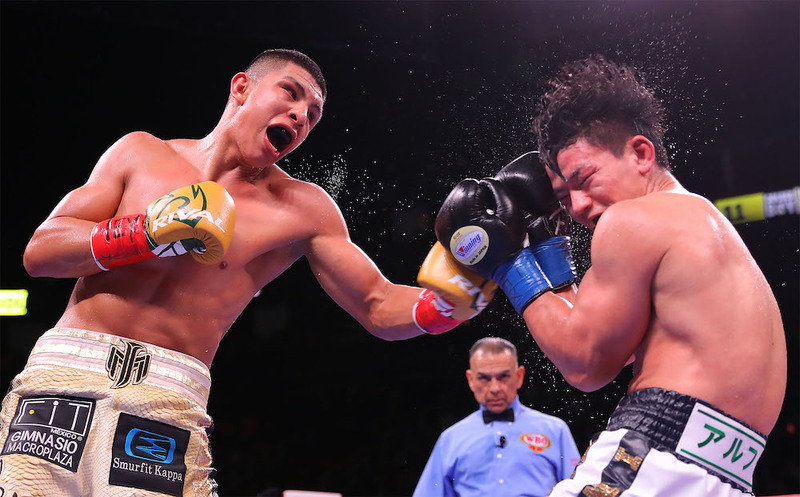 Earlier in the night, Vergil Ortiz (12-0, 12 KOs) stopped Jesus Valdez (23-5-1, 12 KOs) via TKO in the fifth round. Valdez suffered a bad cut over his left eye, causing the fight to be stopped.